MID-ARGYLL: At Loch Crinan this afternoon – 38 Dunlin and 18 Ringed Plover. 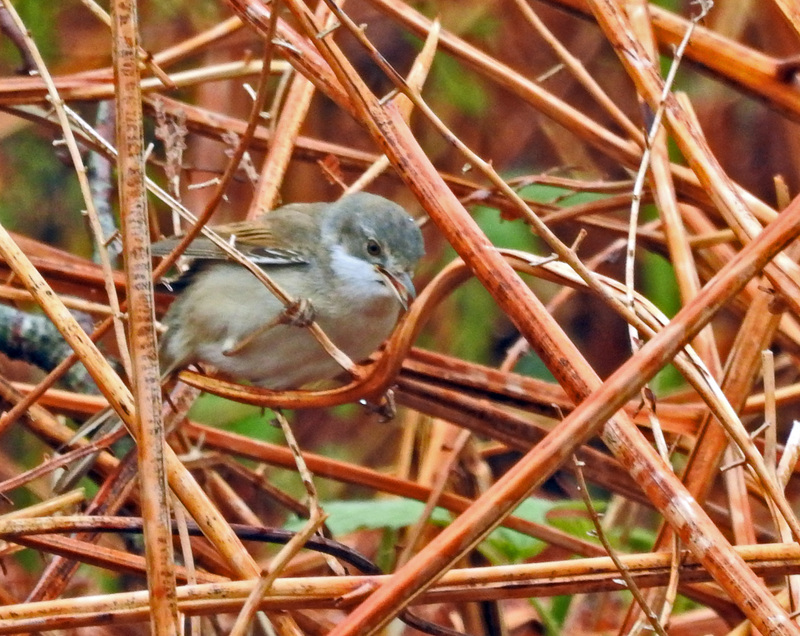 Also a male Whitethroat and a pr of Tree pipits at Duntrune (Jim Dickson). It now seems most likely that the Common Rosefinch reported at Cladich, Loch Awe recently was a nice bright male Lesser Redpoll. ISLAY: Ian Brooke has just phoned mid-afternoon to say there are 4 Tree Sparrows in his garden at Kilchoman…a new species for there! TIREE: A male Whinchat at Meningie – first of season here (John Bowler). 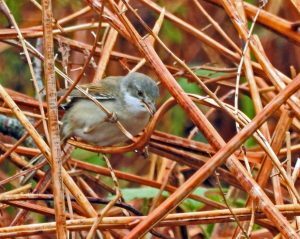 WHITETHROAT – Duntrune, Mid-Argyll 9th May (Jim Dickson).